Welcome to Lisa Edwards Stockdogs and Bitterbrush Kennel & Livestock. 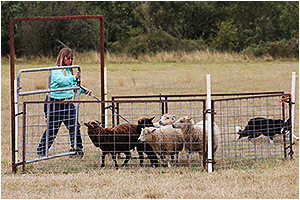 Lisa Edwards is a trainer, breeder and judge of all breed herding dogs. 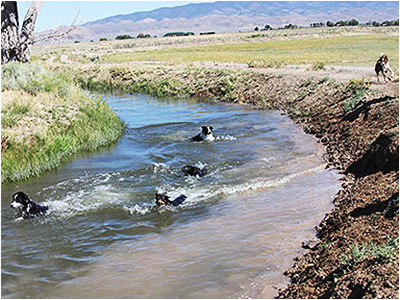 Lisa lives and works in Gardnerville, Nevada, located in the beautiful Carson Valley at the base of the Sierra Nevada Mountains. 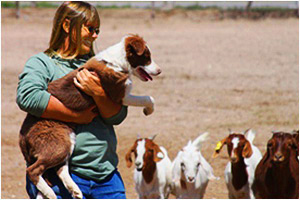 Lisa helps dogs and their owners accomplish their herding goals. 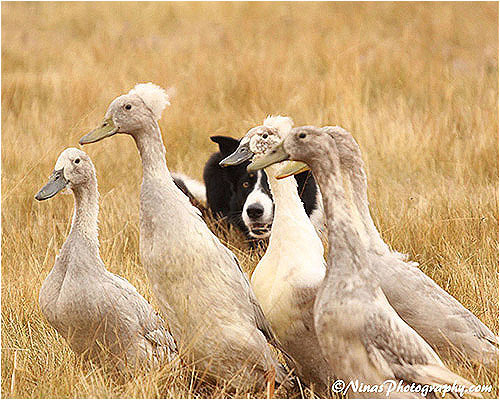 Working with all Herding Breeds. 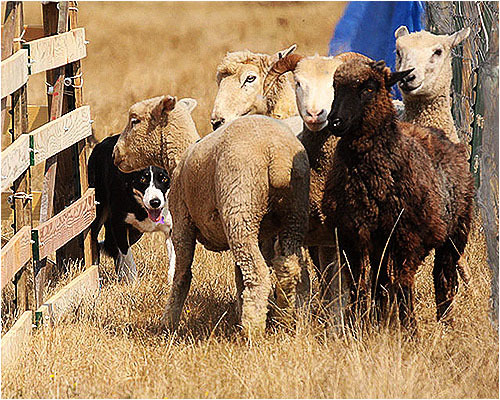 Whether you need a sheepdog trained to help with ranch chores or the finesse needed to compete at a national sheep herding trial Lisa offers a continuum of training and services to bring out the herding instinct in your dog. In addition Lisa is available to conduct training seminars at your location. 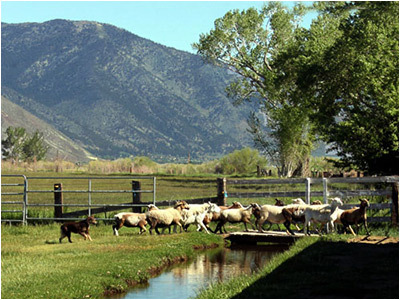 Livestock for sale: Boer Goats, Hair sheep & Icelandic sheep. Please call for current offerings. 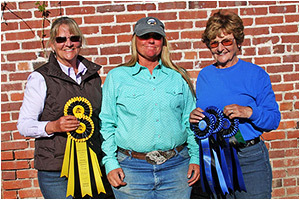 Lisa is a stockdog judge for the American Herding Breed Association (AHBA), and the American Kennel Club (AKC). 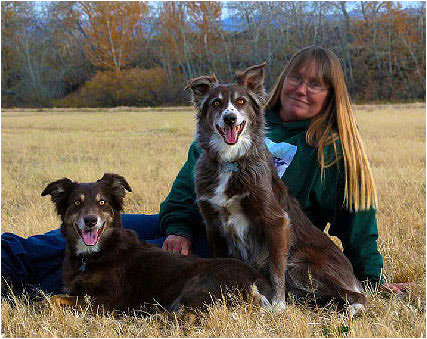 Lisa recently has been accepted as an apprentice judge for the Australian Shepherd Club of America (ASCA). Visit us on Facebook. Pay for services online.